Munich is the home base where the software solutions are developed as well as the engineering services projects are controlled. Follow the A99 until you reach the motorway intersection München-Brunntal. Continue on the A8, signposted München. When you reach the end of the motorway A8,go straight on into Rosenheimer Str. Follow this road for approximately 2,5 km. Then turn right into Steinstr. You will then approach Teraport directly at Kellerstr. 29. From the Munich main station, take the S-Bahn, routes S 1-8, direction Ostbahnhof – exit the train at the station Rosenheimer Platz. A journey of approx. 8 minutes. From Rosenheimer Platz follow Steinstr. 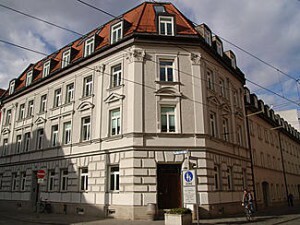 for 200m to find Teraport at the corner Steinstr./Kellerstr.